Summer vacations are quickly approaching and anyone looking to enjoy some good old-fashioned family fun should check out Aberdeen, South Dakota. 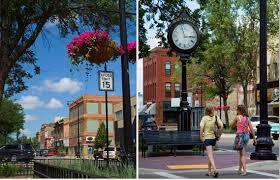 Aberdeen is the third largest city in South Dakota and still maintains its rural charm. Here are a few suggestions to help plan an upcoming trip! Wylie Park, just one mile north of town, is a great place for the entire family to spend a day or weekend. 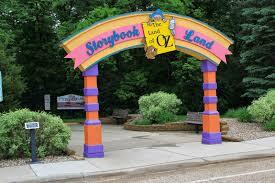 The biggest attractions are Storybook Land and the Land of Oz, which open for the season April 15th. Here families can listen to fairy tales and fables in a medieval castle (complete with its own moat and knights in shining armor), slide down Jack and Jill’s Hill or visit Goldilocks and the Three Bears. In Oz, families can stroll down the yellow brick road and visit Munchkin Land. There’s also a miniature train, bumper boats, paddle boats, go-karts and mini golf inside the park, along with a number of summertime events. Check out the city’s website for all the latest activities. The Dacotah Prairie Museum is a great way to spend the morning indoors. 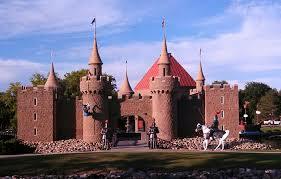 It offers many historical features of the Dakota Territory. It also provides great insight into how Aberdeen was started and how things have progressed. For something a little more adventurous, head on over to the Brown County Speedway for some heart-pumping, adrenaline-inducing dirt track racing. It is a 3/8th mile, high-banked WISSOTA sanctioned dirt oval. The Speedway races Late Models, Mods, Supers, Streets and Pure Stock. The best place to go for breakfast is hands down Sammy’s Restaurant & Omelet located on Main Street. They have the best omelets ever! It does get busy on Sundays but it’s easy to order the food to-go if there isn’t a place to sit. 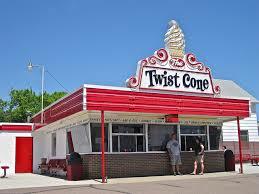 It’s hard to top the iconic Twist Cone for a tasty meal. Enjoy the feeling of stepping back in time, along with a great BBQ sandwich and an Italian Ice Cream Cone for lunch. Another must-eat is the Palm Garden Café and Chocolate Shoppe. The made-from-scratch pot pie and cheesy bread are a great way to end an evening. And the caramel, sea salt dark chocolate morsel is great at any time! They even have a sports museum upstairs, which is worth seeing after enjoying a great meal. Spend the night camping in the Wylie Park cabins or go with something a little more enclosed at the Holiday Inn Express & Suites Hotel. Either way, the facilities are designed to provide travelers with a restful sleep and wake up ready to start a new adventure. No matter how long the visit, Aberdeen does not disappoint. There is plenty to do and see for every one of all ages. Get to Aberdeen on one of two daily Delta Connection flights, operated by SkyWest, from Minneapolis. Book today at www.delta.com.